The following is the schedule for the High Holidays 5779. We are seeking hosts to provide meals for the rabbi this year. Erev Rosh Hashanah, Sunday, September 9th at 7 p.m.
First Day of Rosh Hashanah, Monday Morning, September 10th at 9:30 a.m. 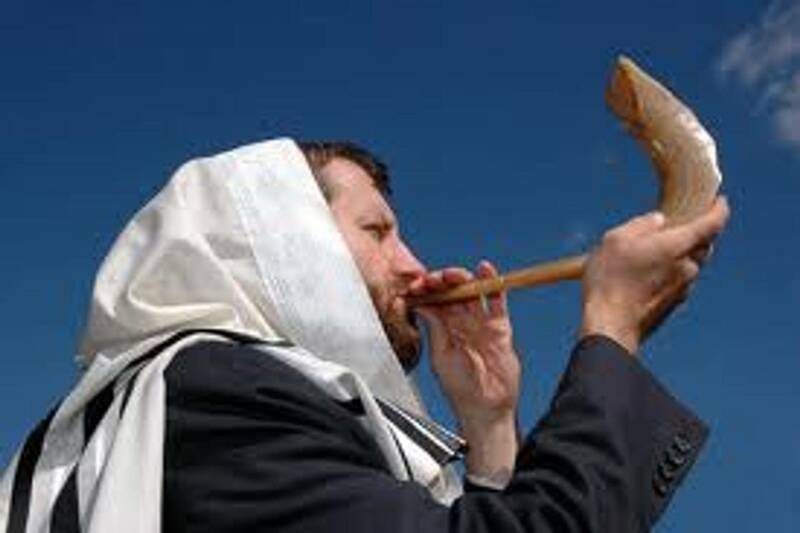 The Torah service will start at 10:30 a.m. Monday, with the shofar blowing at 11:30 a.m. The services will conclude around noon. Tashlich services will be held on Monday at noon, immediately following the morning service. The services will be at the boat launch at Bloomsburg airport. Afterward, we'll have a kosher potluck back at the synagogue — bring your favorite dish, but don't include any dairy! Erev Yom Kippur, Tuesday, September 18th at 6:30 p.m.
Yom Kippur Day, Wednesday, September 19th at 9:30 a.m.
Yom Kippur Afternoon, Wednesday, September 19th at 5 p.m. Concluding Service will begin at 6 p.m. Following the Yom Kippur service there will be a break-fast in the community room of the synagogue. Once again, all are invited to attend. If there are any questions regarding the services, please contact Susan Schwartz at 570-441-2774. Please note: Fourth Street is permit parking, but town police said they won't enforce it during the High Holidays. If you do get a ticket, give it to Susan Schwartz or bring it to Town Hall to have it cancelled. I grew up in northern New Jersey, but spent most of my adult life in various locations in Upstate New York and now live in Ithaca. Since 1982 I have been married to Barbara Regenspan, a professor of educational studies who is newly retired from Colgate University. We have two children, a son Ben who lives and works in New York City as an internet engineer, and Sarah, a community organizer, activist and life coach who also lives in Ithaca. I was ordained a Reform rabbi in 1988 at Hebrew Union College-Jewish Institute of Religion in Cincinnati, Ohio. Since then I have served two small congregations in Upstate New York, followed by a career as a freelance rabbi and homemaker. I also write fiction, work on political causes and am an avid music listener. The practice of Zen Buddhist meditation and study has become increasingly important to me in recent years and is an integral part of my life and practice. As a rabbi, I feel that one of my prime inner directives is to educate and demystify. Too much of modern Jewish identity is based upon a sense of vagueness and helplessness in the face of the vastness of Jewish tradition and is mired in sentimentality and nostalgia. In whatever I do, whether it is leading a Sabbath service or performing a wedding, I try to educate those assembled about why we do what we do. 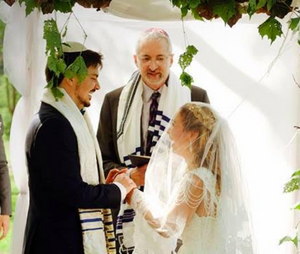 As a wedding officiant I am willing to depart from tradition in order to perform a so-called interfaith wedding. I do so in cases where it is clear that the non-Jewish partner is a “fellow traveler” in the Jewish community, supportive of the identity of the Jewish partner. As an individual Jewish person, my practice is eclectic and, if you will, “post-denominational.” I am a member of a Conservative synagogue because I personally enjoy the traditional way of praying and, in this vein, I attend and sometimes lead minyan every weekday morning. But I am more Reform and non-traditional in other respects. I drive and answer the phone on the Sabbath, I tend to observe one day of a festival rather than the traditional (diaspora) practice of observing two days, and I keep “biblically” kosher only, which is to say, I simply refrain from pork and shellfish. As noted above, Zen Buddhist meditation also finds a place in my mix of practices. I am fascinated by Jewish culture and history and, to this end, earned a masters degree in Near Eastern Studies from Cornell University—my special area of study was the Hebrew poetry of medieval Spain. Literature has also been a lifelong major interest, and I have written two novels with Jewish themes, one self-published and one agented and seeking a publisher (I am at work on a third novel). Music is also a strong interest, especially piano. I might add that, when leading services or presiding at weddings, I enjoy serving as my own cantor. In the end, I believe that I try to bring my own tendencies, interests and beliefs into my practice as a rabbi. It is my feeling that all serious modern Jews are seekers. As a rabbi and as a Jewish person, I believe that when I join with other Jews in prayer or study I am choosing to seek with others, and inviting them to seek with me.